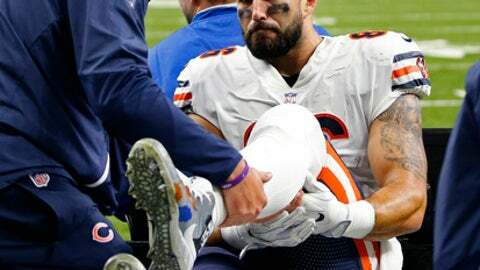 LAKE FOREST, Ill. (AP) Chicago Bears coach John Fox says tight end Zach Miller is ”progressing well” following surgery to save his left leg. Miller remains hospitalized in New Orleans after tearing an artery while dislocating his knee trying to make a touchdown catch in Sunday’s loss to the Saints. He likely tore ligaments, though the more immediate issue is the vessel.